Once the world's largest and most influential bond fund, Pimco continues to fall from that stature. 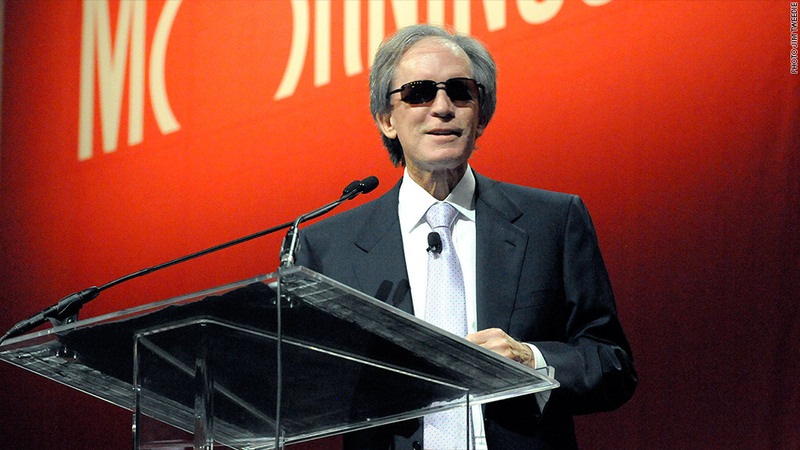 Its star has dramatically dimmed after its founder, the "bond king" Bill Gross, left Pimco almost a year ago. Investors started taking out billions of dollars from Pimco after Gross left and continue to do so. Just in August, they pulled $1.8 billion out of Pimco's Total Return fund, Gross' former signature fund. Today it has less than $100 billion in total assets, the lowest level since 2007, according to the company. At its height in 2013, the fund managed $293 billion. In May, Vanguard surpassed Pimco as the world's largest bond fund manager. Pimco's fall from grace is a lesson in what happens when a firm's fortunes are so closely linked to one person's identity. Gross was synonymous with the Pimco name and it's no surprise that the firm's fortunes have suffered after his departure. Gross allegedly left after clashing with other execs over how to manage the company. Gross had developed a reputation of being a little strange towards the end of his tenure. He once wrote an ode to his dead cat named Bob in an investment outlook note to clients. He left Pimco last September to work at Janus Capital Group (JNS). The fund had been losing money before Gross left, but his departure appears to have led to an exodus of funds. In March 2014, before Gross left, Pimco's total return fund had $231 billion under management. By March it dropped to $116 billion and it continues to dwindle. Pimco announced earlier this year that former Federal Reserve Chair Ben Bernanke would serve as an adviser to Pimco. That star hire hasn't helped the cause yet though.